Save web pages to Dropbox. Is there a better alternative to Keep Everything Premium? 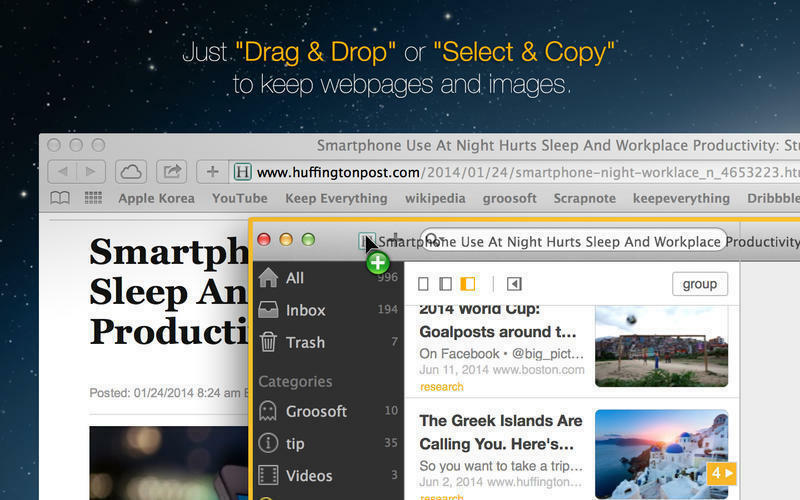 Is Keep Everything Premium really the best app in File Management category? Will Keep Everything Premium work good on macOS 10.13.4? 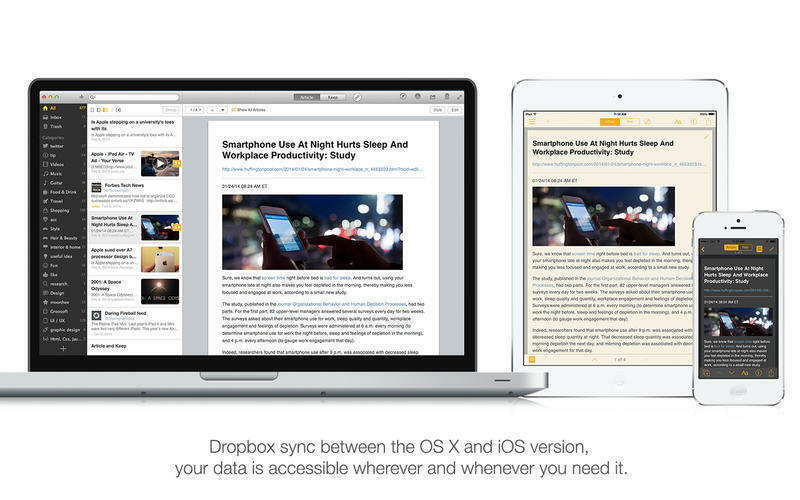 Keep Everything Premium saves web pages to Dropbox so you can read them later, anytime, anywhere. It can save all or just a portion of web page as well as data from other applications, such as Twitter, YouTube, Pocket, and ReadKit and with Dropbox sync between the OS X and iOS version, your data is accessible wherever and whenever you need it. Web Archiving - Just "Drag & Drop" or "Select & Copy" to keep webpages and images. 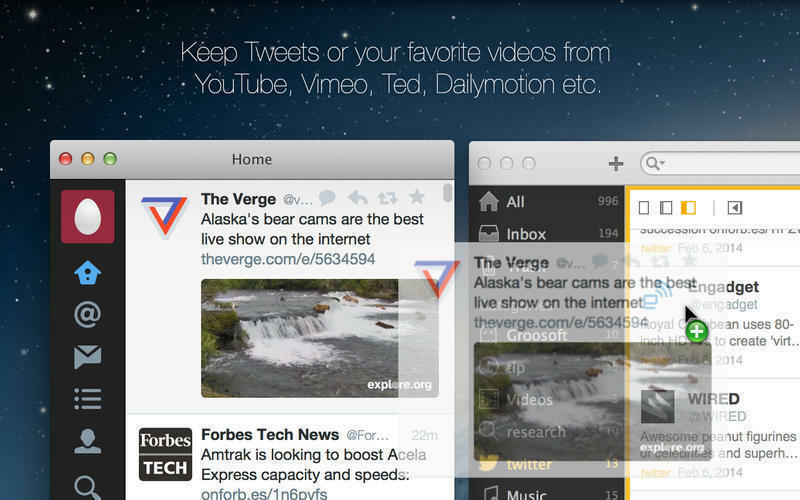 Twitter, YouTube - Keep Tweets or your favorite videos from YouTube, Vimeo, Ted, Dailymotion etc. Keep Everything Premium needs a review. Be the first to review this app and get the discussion started! Keep Everything Premium needs a rating. Be the first to rate this app and get the discussion started! The "Kept" webpage is entirely archived on your offline storage. You get the whole page: text, images and links. "Article" produces a clean, uncluttered, page optimized for reading and structured in Markdown. 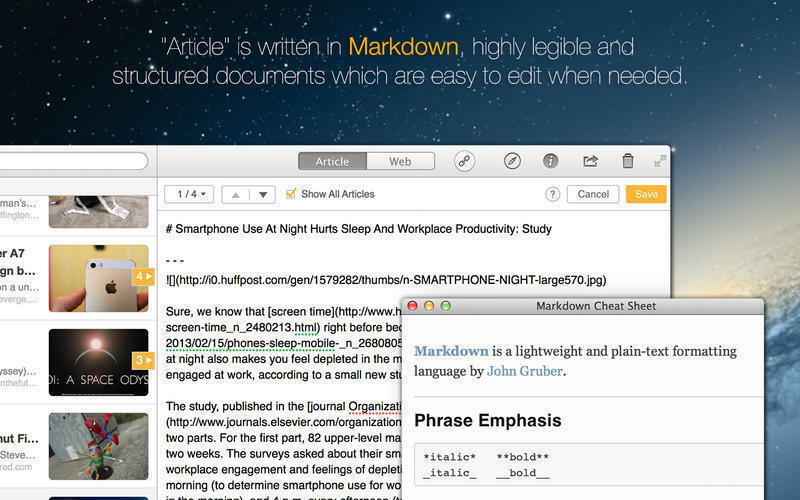 Markdown - "Article" is written in Markdown, highly legible and structured documents which are easy to edit when needed. Dropbox Sync - A tried and tested sync solution with auto backups and accessible almost everywhere. Rest easy knowing your data is backed up and safe. 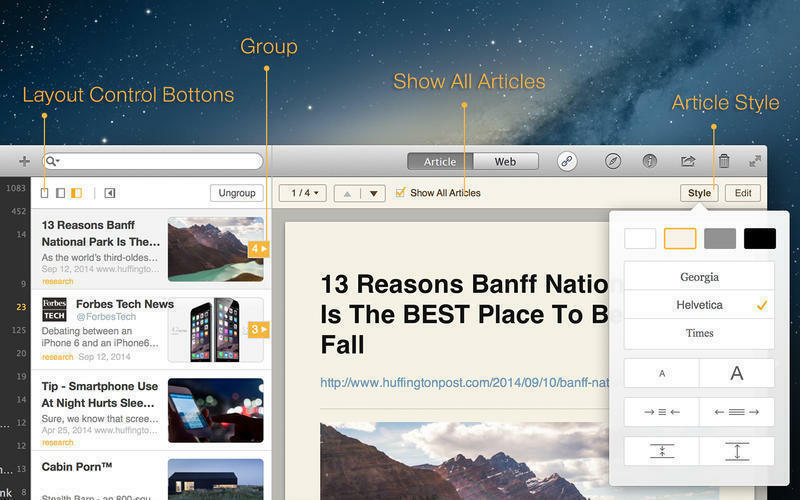 Category - Stay organized and and easily find what you're looking for with Categories.